Joseph Ellicott, a surveyor for the Holland Land Company, developed Buffalo?s radial street system in the early 1800s as part of the city?s original urban plan. 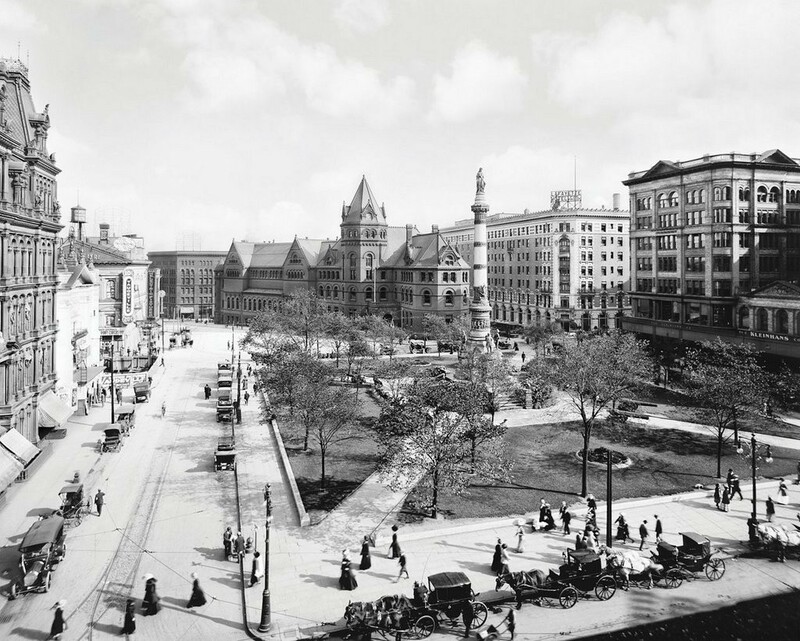 Originally the site of the city gallows, Lafayette Square was decidedly more cosmopolitan by 1910. The popular public square was a center of civic life, home to a Civil War monument, the Medieval-style Buffalo Public Library, the Lafayette Hotel and vaudeville theaters.